Ben devoted his time to ensure we found the perfect piano for us as a family; his patience and warmth made the experience thoroughly enjoyable for us all. Trying the fantastic variety of pianos in the showroom was an absolute pleasure and having Ben’s vast knowledge and honest advice on hand aided us in making the right decision. 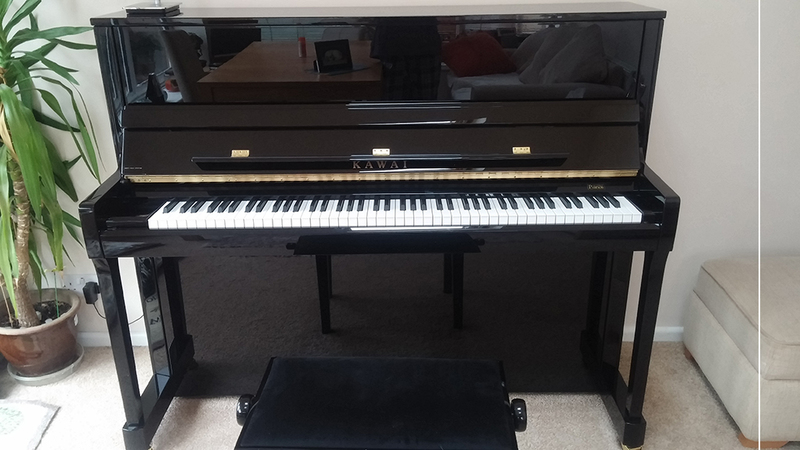 What a difference the Kawai K300 has made in comparison to our last piano; the tone, quality and appearance have exceeded our expectations. This piano is a pleasure to play and listen to. In addition to such helpful service, the delivery was incredibly quick and smooth and having the post-delivery tuning from Ben was an extra bonus.